For the past 40 years, BigToys has been building commercial playground equipment that provides a safe, fun, developmentally appropriate play experience for kids around the world. Whether you choose a structure made from recycled steel and 100% recycled plastic, or Forest Stewardship Council certified wood, you'll be building one of the most environmentally friendly playgrounds available anywhere today. Their kid-friendly wood treatment is EPA approved and BigToys' school and commercial playground equipment contains NO PVC. 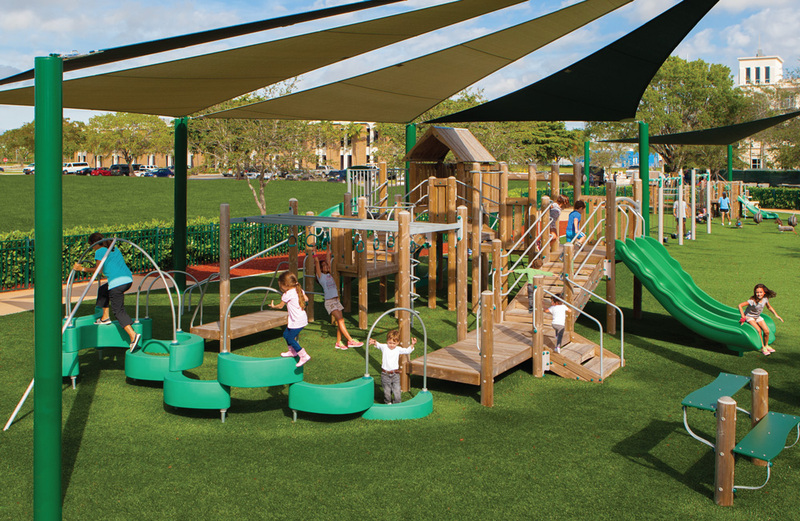 BigToys is truly the leader in Green Playgrounds and we would love to assist you with your project! Contact us for more information.